Recently, there were rumors about this device, and now, the phone has been officially launched. OnePlus 3T is the successor to the previously launched OnePlus 3, but with little improvements, starting from the battery, camera, processor and more other. Though, they both have the same design and dimensions. Below is the full specs of the OnePlus 3T. 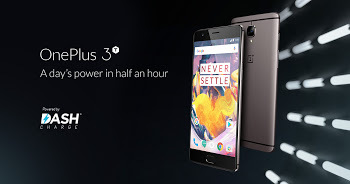 The OnePlus 3T price begins at $439 which is equivalent to Rs 29,782 in India and also N133,342 in Nigeria for the 64GB version, while the much high-end 128GB Gunmetal variant costs $479 which is equivalent to Rs 32,495 in India and N145,616 in Nigeria. Is it cheap for the specifications and features or the price range for the device is OK for the features? Kindly use the comment box below. Where can one in Nigeria buy this phone? ?